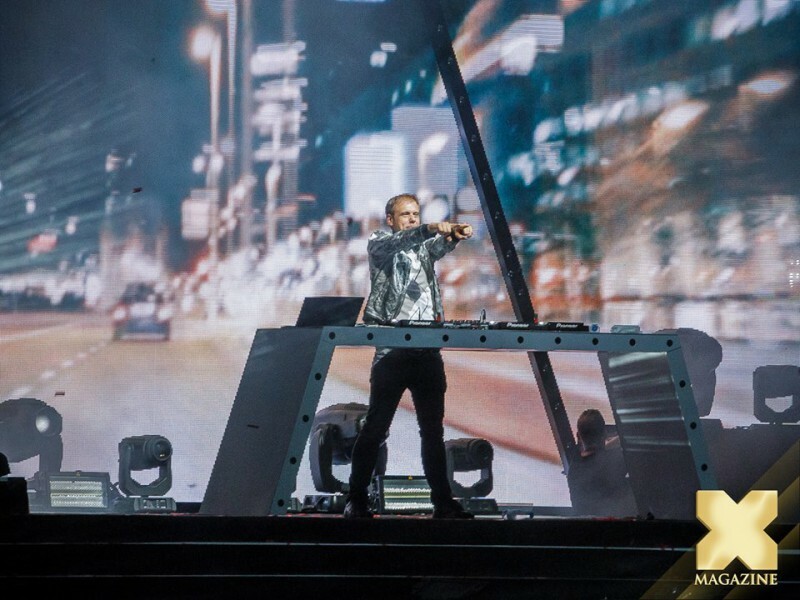 DJ Armin Van Buuren was live in concert in San Pedro de Alcántara on 30 July at the Estadio Municipal. Armin van Buuren is a Dutch DJ, record producer, musician, remixer, pianist, and songwriter. Since 2001, Van Buuren has hosted a weekly radio show called A State of Trance, which currently is broadcast to more than 37 million weekly listeners in 84 countries on over 100 FM radio stations. This radio show propelled him to stardom and helped cultivate an interest in trance music around the world. Van Buuren has won a number of accolades. He has been ranked the No. 1 DJ by DJ Mag a record of five times, five years in a row. He is currently ranked No. 4 on DJ Mag list for 2015. In 2014, he was nominated for a Grammy Award for Best Dance Recording for his single This Is What It Feels Like featuring Trevor Guthrie, which makes him the fourth trance artist ever to receive a Grammy Award nomination. In the United States, he holds the record for most entries, twenty-one, on the Billboard Dance/Electronic Albums chart. His 2008 studio album, Imagine, entered the Dutch album chart at No. 1, a first for a trance artist in Dutch music history. Interview with Betsie Larkin: See Her in Marbella on July 30, 2016!